It's Jolie here. It's been too long since I posted but it doesn't mean I am not thinking about this blog every time I cook. In fact, Amber's last post about beer brats was exactly what we ate with these Brussels sprouts. I am the only one the in the group with a school-age kiddo and it feels like we've been on an end-of-the-school-year countdown for the past several weeks! It's that time of year when the old reading log just doesn't get signed. But with baseball season, the talent show, and second grade behind us, we are all looking forward to a carefree summer with lots of backyard BBQs! I grabbed these Brussels sprouts at Costco. I sliced them in half and put them in a sprayed-down tin foil pouch. I added garlic, salt, pepper, and a handful of rosemary. I'm sure if you added butter that would be fabulous but we try to go without. Then we tossed the tin foil pouch on the grill with the meat. I think about 20 minutes but I started to lose track with all the mojitos I was drinking. I don't think you could screw this one up. Everyone loved them. It's nice to mix it up a little. Here is a picture of my family to spice up the post. I will be back soon, I promise! 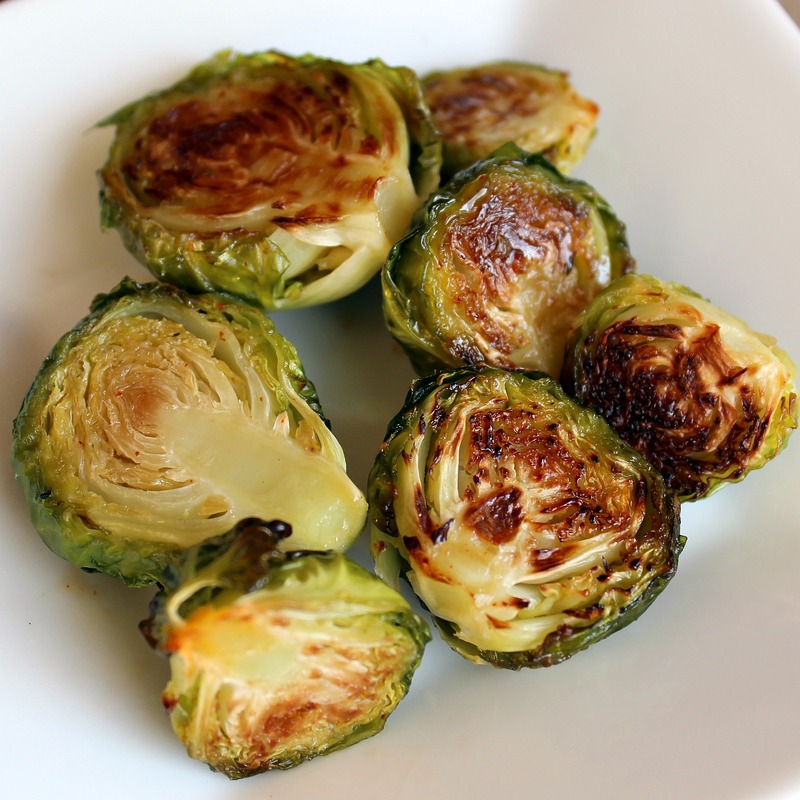 Brussels sprouts are one of my very favorite veggies! I also roast them, but bbq-ing them is 100x smarter since you'd get the same roasted flavor without having to wash any dishes! This is brilliant. And you're my kind of cook... drinking enough mojitos that you don't really have to keep track of cooking time and it still all turns out perfect. Beautiful Brussels sprouts picture and great family photo! I love the family photo! And good thinking with the Brussels sprouts! I need to do more foil dinners now that it's summer. It's so genius and like Em said, no cleanup. Amen to that.